We don't set the bar, we are THE BAR! The Bar is an interesting tag-team which was formed rather forcibly by the former GM, Mick Foley in 2016. The Universe thought that they wouldn't work well together, and they would eventually lead to a split very soon. 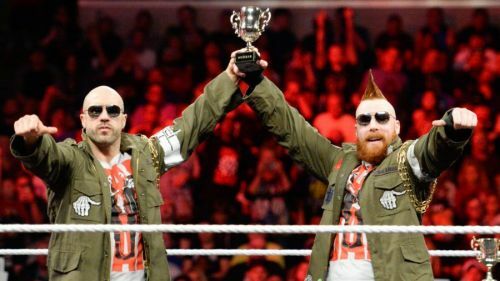 But, much to everyone's surprise, they have worked incredibly well, and they have won the RAW Tag-Team Championship four times. Since the brand split, they remained on RAW, but very recently, they shifted to SD Live which has changed the demeanour of the tag-team. One of the best heel tag teams on RAW is suffering from an identity crisis on Smackdown Live. They have lost most of their matches there, and they were also missing from the Television for a few weeks. 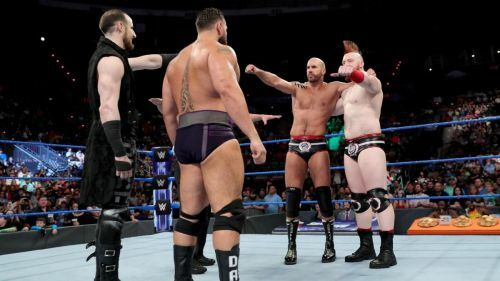 After their return, they joined the SD Tag-Team Tournament where they advanced to the finals, but they lost their No.1 contender match to Rusev and Aiden English. The Bar was an amazing tag team, but it's high time that they separate, and compete in the singles competition. Both of them are amazing single players, and they have won many championships over the years. The tag team needs to split, and here are few reasons why that WWE should give it a thought. When The Bar debuted in 2016, they created havoc in the main roster of RAW. They were the sole survivors in the traditional 5-on-5 Survivor Series match of that year. They had a great feud with Two-third of The Shield, Big Cass and Enzo Amore and many more people. The Bar has lost their spark and they are are very redundant and boring in the ring. The duo of Cesaro and Sheamus doesn't excite the crowd anymore. Their tagline and their entrance were greeted with a huge reaction, but now they are suffering in the mid-card scenario.